Purchased new in 1990 from local Yamaha dealer Piedmont Piano, this is a nice studio upright. The cabinet is in beautiful polished Walnut and the piano has been in one family since new. It has a matching bench and full warranty. 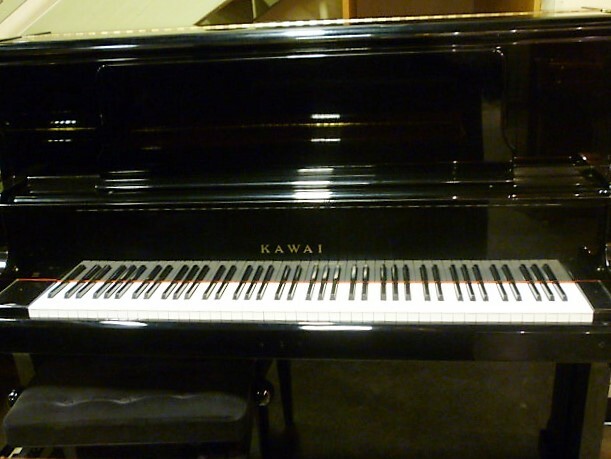 Used by many institutions in practice rooms, this is Kawai’s version of a professional studio. The cabinet is classic rubbed Ebony, and the instrument is in very good condition. Comes complete with warranty and in-home tuning. The undisputed King of Concert instruments, this Steinway D is a glorious sounding beast. Originally built in 1927, the piano was completely restored in Germany to Hamburg Steinway specifications. The powerful bass and resonant treble is the standard by which all other concert grand pianos are measured. Schimmel, once Germany’s largest piano manufacturer, built quality uprights and grands under the tutelage of Klaus Schimmel, who retired in 2008. Since then, the company is run by his son-in-law and the quality has not been quite to the standard set earlier, but they are still very good instruments. 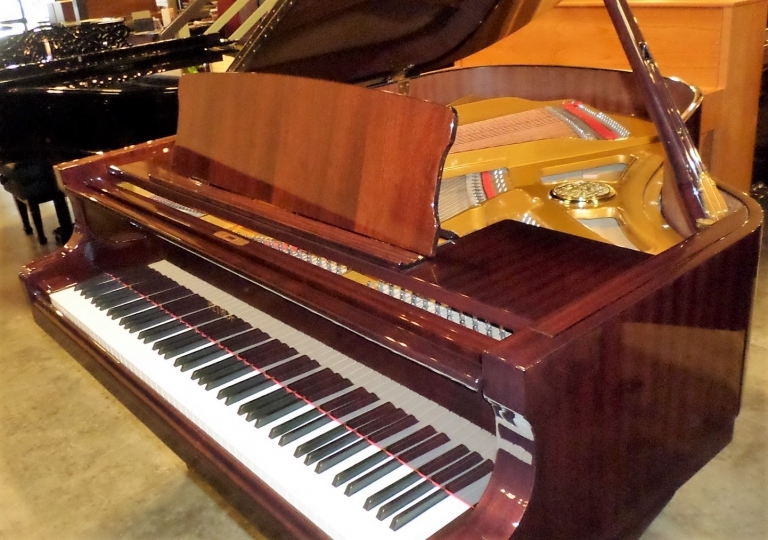 This piano was built in 2010 and has tone properties far exceeding larger pianos. In gleaming German mahogany, the current retail price for this instrument is over $25,000. Petrof hand crafts pianos in the Czech Republic. 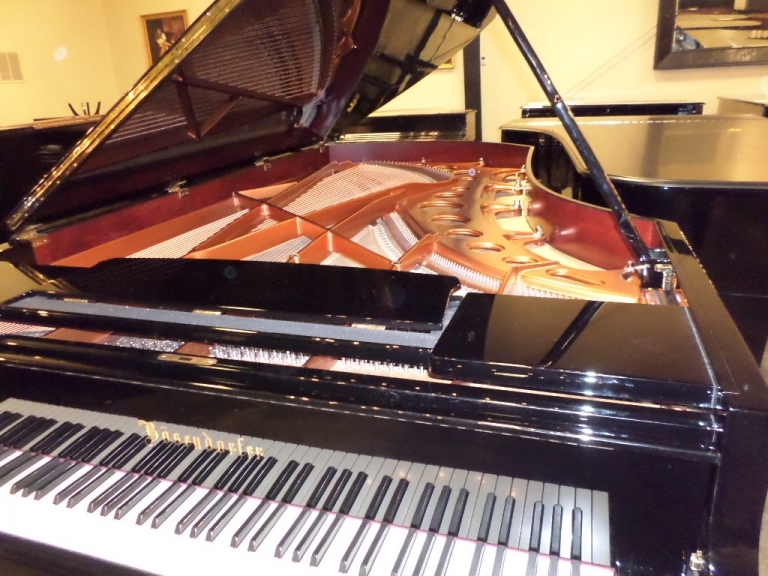 This used grand piano, 192cm in length, was purchased new in 1997 from us. It was made 100% by Petrof in the Czech Republic, long before their affiliation with Hailun. It is in excellent condition, just tuned and concert regulated. As a parlor grand, we challenge you to compare this round, lush sound to any Steinway, Yamaha C3 or Kawai Rx2/ RX3 grand piano. 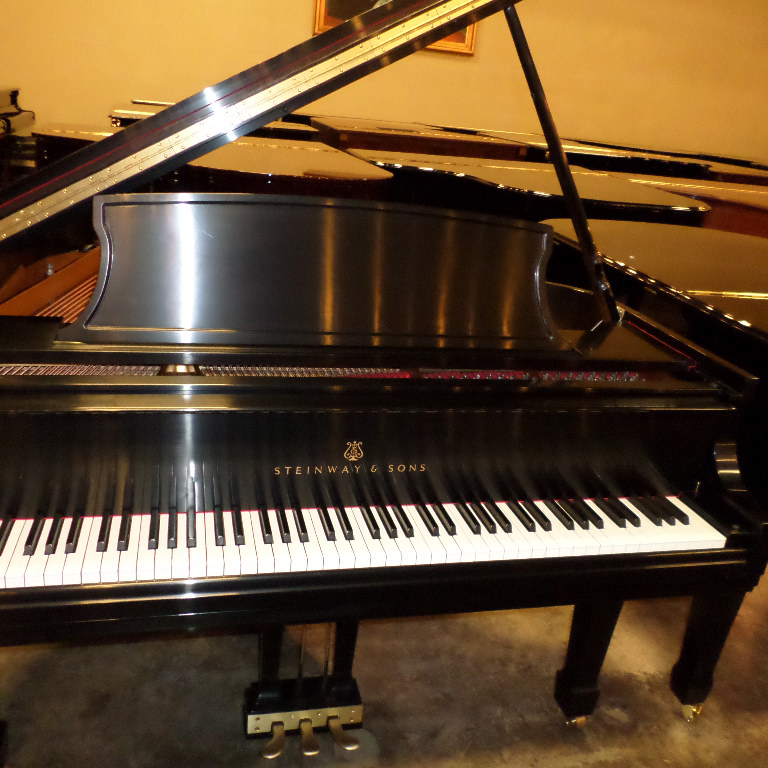 It is a wondeful piano and unbeatable at this price point. This incredible professional upright piano was built by C. BECHSTEIN in Berlin in 1997. It has a Renner Action, which is unbelievably quick and sensitive and more like a grand piano than an upright. It has a solid Bavarian Spruce soundboard that produces a lush full sound. Compare this upright to any Steinway, Yamaha or Kawai grand piano, or even other European grand pianos. It’s absolutely amazing. Completely restored, by a Certified Technician using ONLY genuine Steinway parts, this 1951 parlor grand is perfect in every way. Crafted while still under the tutelage of the Steinway family, but with all modern improvements, this instrument is the embodiment of what made Steinway legendary. The cabinet is a deep mahogany color and has PERFECT marketry. 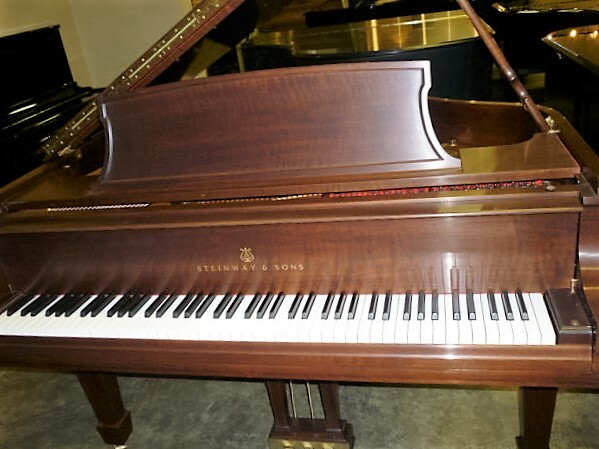 Considering its exquisite cabinetry, and the fact that it’s a Steinway, this piano is a wonderful value. 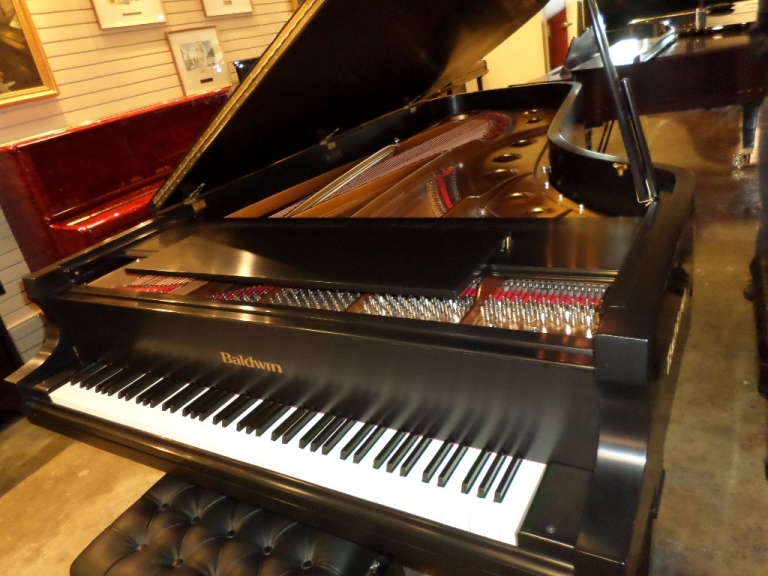 In polished ebony, this gleaming piano looks and performs like new. Built in 1994, the piano was purchased new in San Francisco and has been in the same family ever since. It was just traded in for a German grand piano, and this instrument has a big sound for its pedigree. If you’re looking for a Yamaha upright, you owe it to yourself to try this piano. 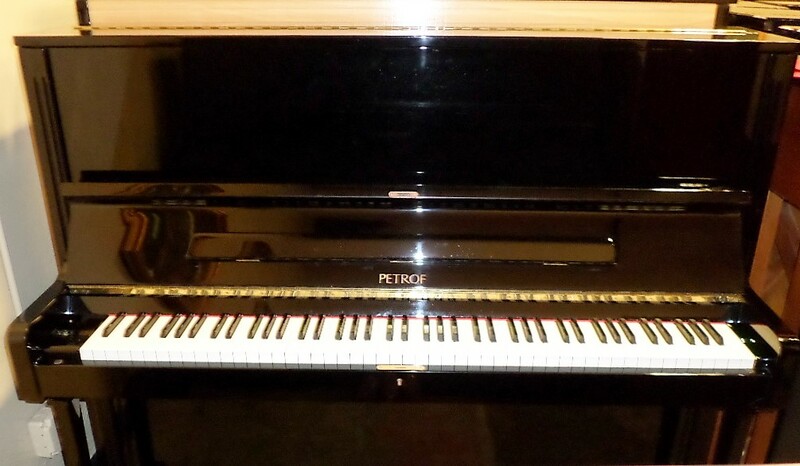 Petrof,made in Czech Republic, is Europe’s budget instrument . 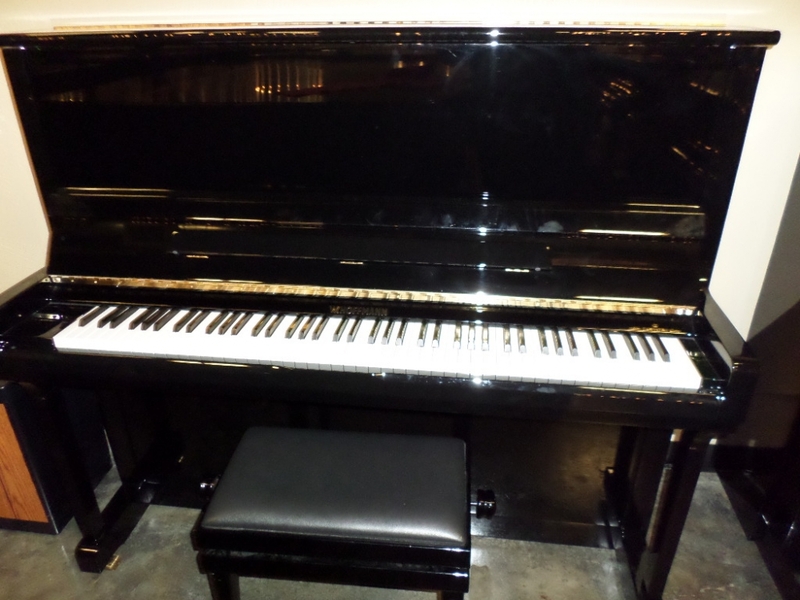 This 51″ professional upright piano, finished in polished ebony, was purchased new in 2001 and is in great condition. Compare this sound to any Steinway, Yamaha or Kawai professional uprights and you will instantly understand why this amazing piano is unbeatable at this price point. 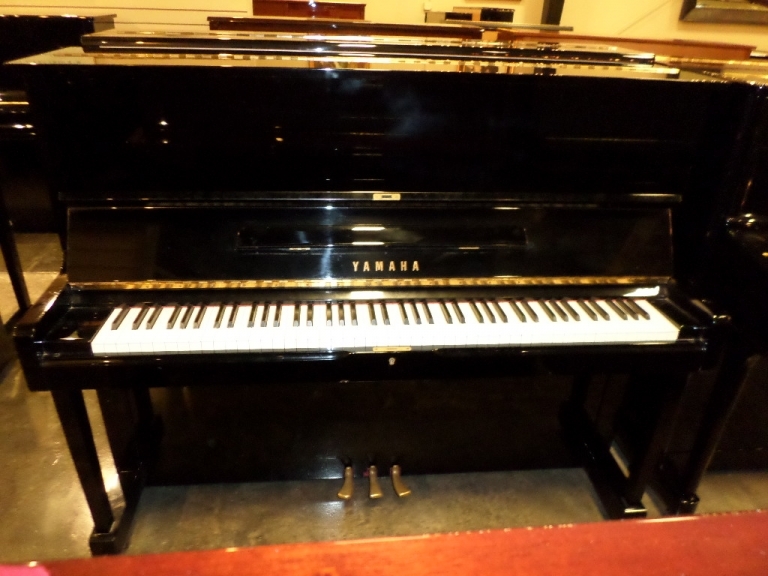 Own a European piano for the price of a Yamaha U3! Designed by the legendary C. BECHSTEIN company, this 2014 professional upright, in gleaming ebony, will satisfy the most demanding musicians. Beautifully designed action plays more like a grand piano than an upright, and the string length produces a grand-like growl missing in most pianos of this size. An additional benefit is the QRS system, which allows one to record or play back, perfect for the composer in you, and also great entertainment. Petrof, the Czech Republic’s oldest piano maker, crafted this piano in 2004. 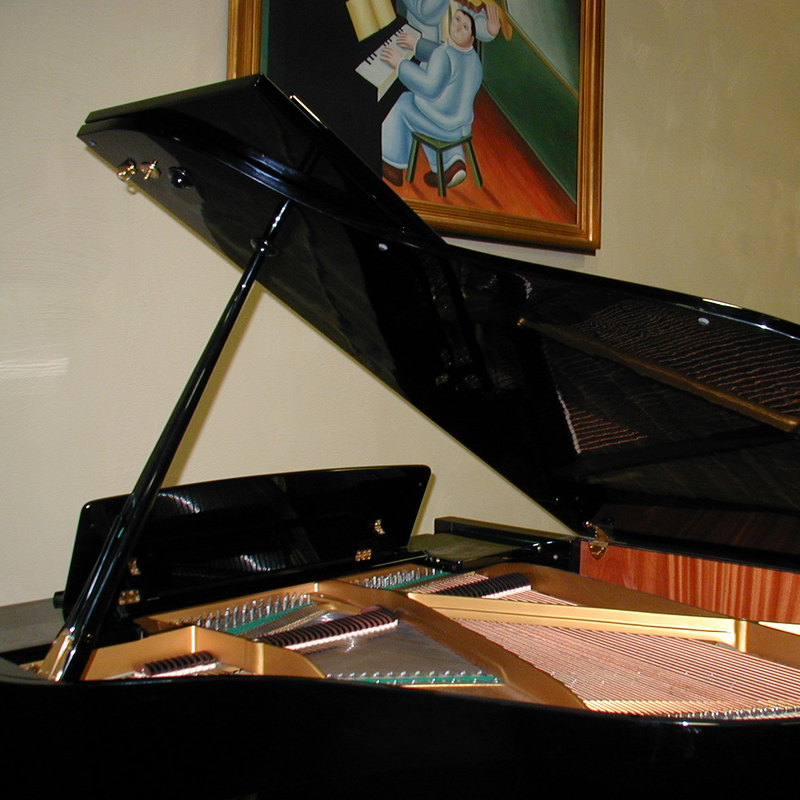 This used grand piano, 170cm (5’8) in length was purchased new in 2005 and was made 100% in the Czech factory. It is a beautiful instrument, with Renner action components and a gleaming dark Mahogany finish to its cabinet. With a complete warranty and matching bench, this piano is ready for years of musical enjoyment. GOLDEN ERA, 1921 Classic Steinway grand, in hand-rubbed Ebony, with ORIGINAL perfect soundboard. 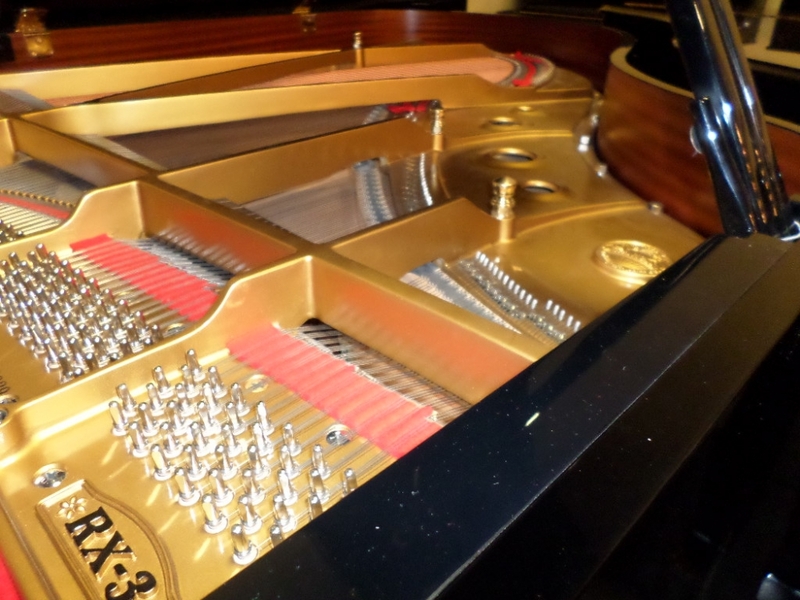 This instrument was just restored using ONLY genuine American Steinway parts by Certified Technicians! While this “baby” grand is small in stature, has the depth and warmth of sound that has made Steinway a hallmark of the American Piano sound. 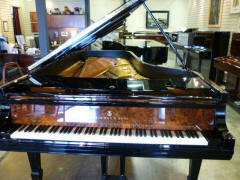 The exquisite performance make this piano an enviable investment for the novice or professional. Completely warranted, and with matching artist bench, this instrument is an excellent value (a new one is $63,100). We sold this piano new in 1984, and the family just upgraded to a grand piano. The instrument is in perfect condition, and is completely warranted. It has the big sound that Kawai earned its reputation on, and this piano was made long before Kawai started producing pianos in Indonesia. 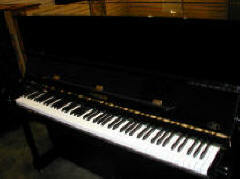 The entire piano was crafted in Japan, unlike the K8 today, and has the performance capability of many grand pianos. Perhaps the prettiest piano ever built, your family will enjoy musical evenings for generations to come with this exquisite instrument. Jonas Chickering was a premier piano builder in Boston, and his instruments were among the most coveted ever built, having tonal properties far exceeding their size. The quarter grand, while being only 5’4 in length, can challenge any 6′ grand of the period, and was used by such luminaries as George Gershwin. With stylistic cabinet appointments, hand carved marquetry and exquisite tone and performance, these pianos are a rare find. 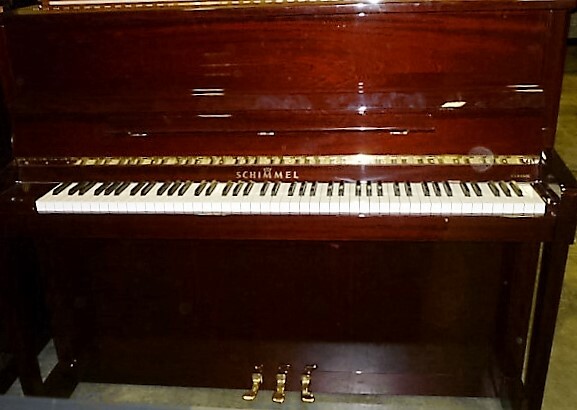 Finished in classic American Mahogany, the piano has genuine brass hardware for period authenticity and many period details, such as genuine Ivory keys. 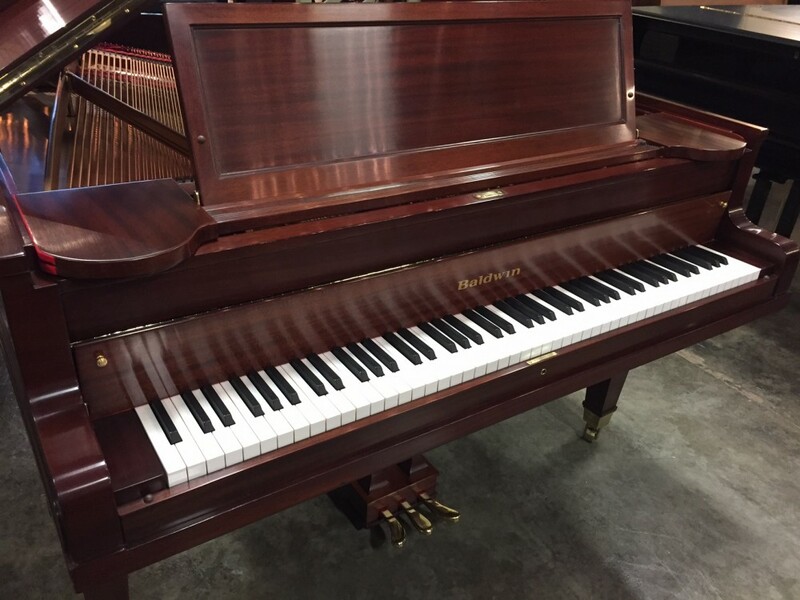 The piano has just been completely restored by Certified Technicians and has a complete 10 year warranty. 2005 Yamaha U1 purchased new locally in 2006. One local owner, this piano has been very well cared for and is like new. 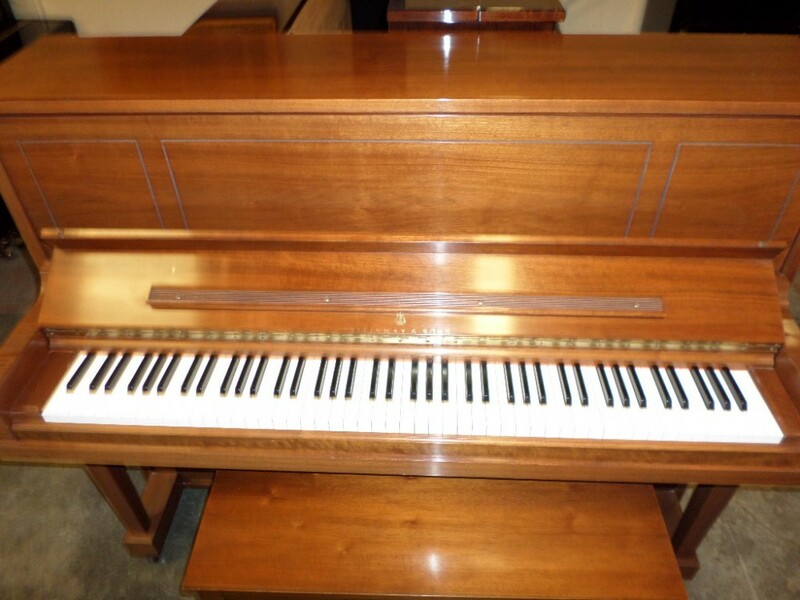 The cabinet is a gleaming polished Walnut and the piano has a full warranty. The Baldwin Hamilton, regardless of brand, is the Hallmark of professional upright pianos. Used by virtually every major Music School, public school, University, Performing Arts organization and Professional, the Baldwin Hamilton is a grand piano in a compact vertical cabinet. Compare the string length of this piano to the Yamaha U1, or Kawai K-400 and you’ll hear why, since 1924, the Baldwin Hamilton is considered the best vertical ever produced. 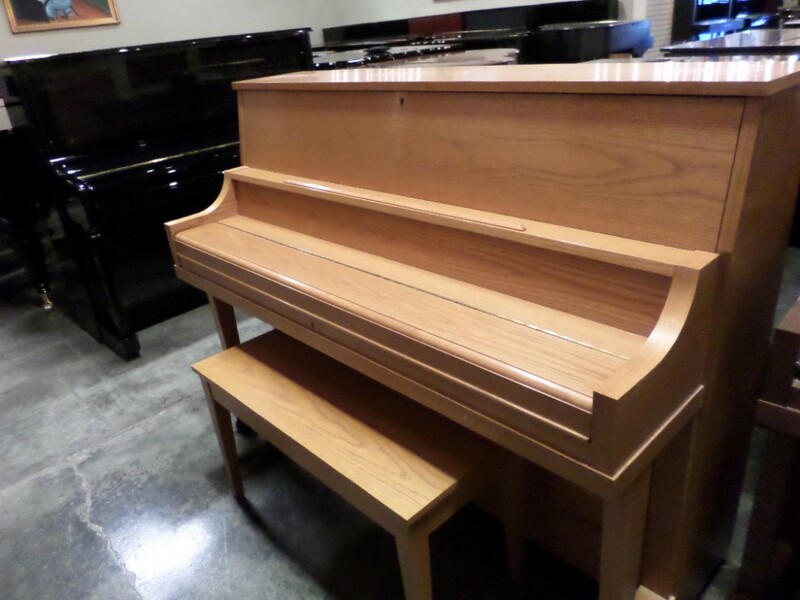 This piano, built 100% in the USA, is in excellent condition and comes complete with warranty and matching bench. Purchased new in Berkeley in 2014, this is a Satin Ebony (hand rubbed) Kawai Professional Upright piano with matching bench. The piano has been tuned and regulated and is in “new” condition, and fully warranted for Ten Years. 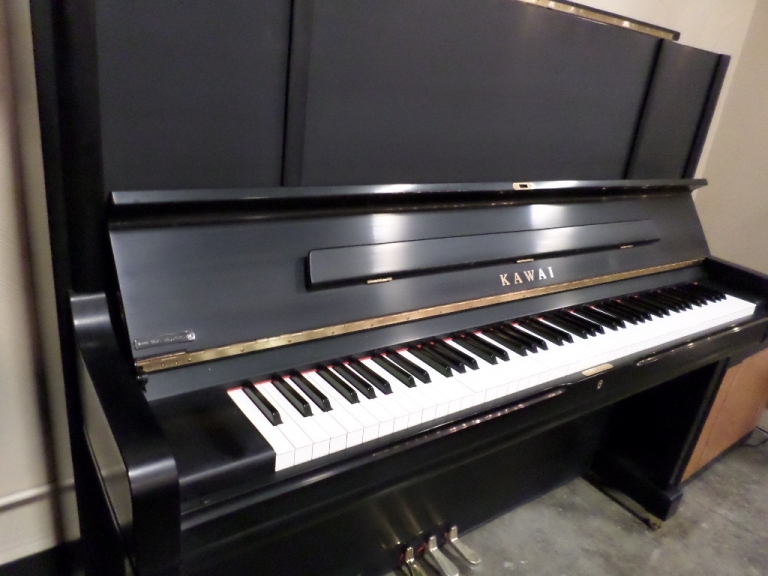 Perfect 6′ Kawai parlor grand piano, in gleaming polished ebony. 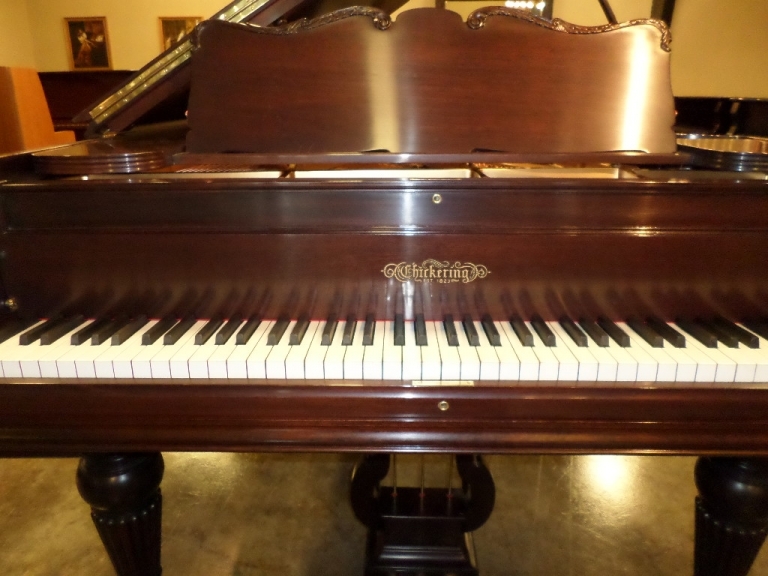 Purchased NEW from us in 1998, this piano has been meticulously maintained. 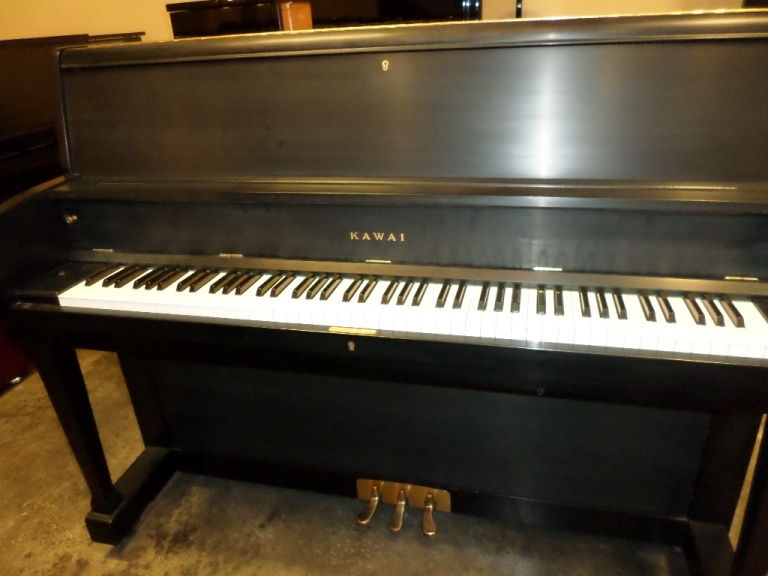 Recently traded in for a European Grand piano, this instrument is a fine piano for the novice or professional. The finish is is absolutely perfect and we invite you to compare the clean sound and responsive action of this piano to any Yamaha C3 or Steinway L or O. A professional upright for the novice and aficionado. The cost new from Steinway is $35,700, but this piano, purchased new in 1990 and lightly used, is one-third the cost. Unlike other manufacturers that mass-produce their uprights, Steinway & Sons uprights are handcrafted in the same factory as their grand pianos, using the same techniques, conditioning processes, and craftsmen. The result is that this upright lives up to the Steinway & Sons name in every respect. Steinway’s upright pianos take advantage of over 125 patented features and processes, including their patented Diaphragmatic soundboard, Accelerated Action and Hexagrip pinblock. 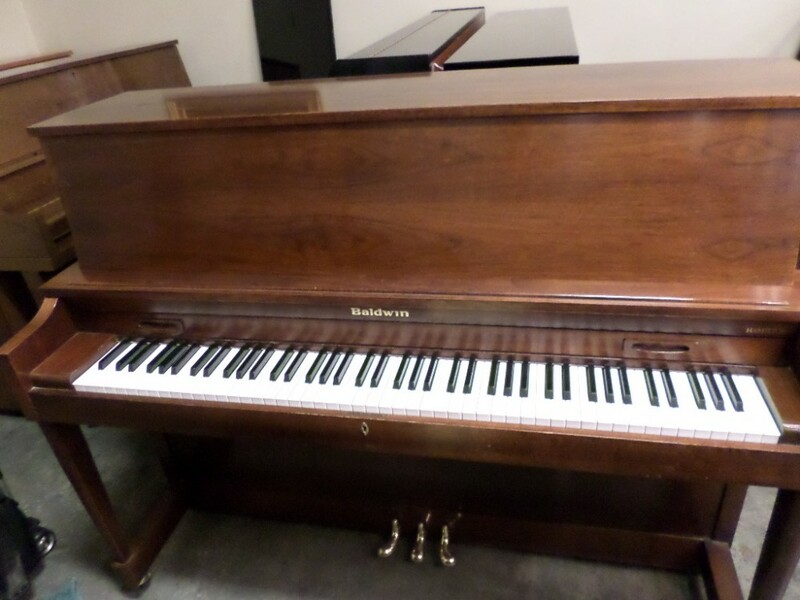 Own a Steinway piano for the price of a Yamaha U3! 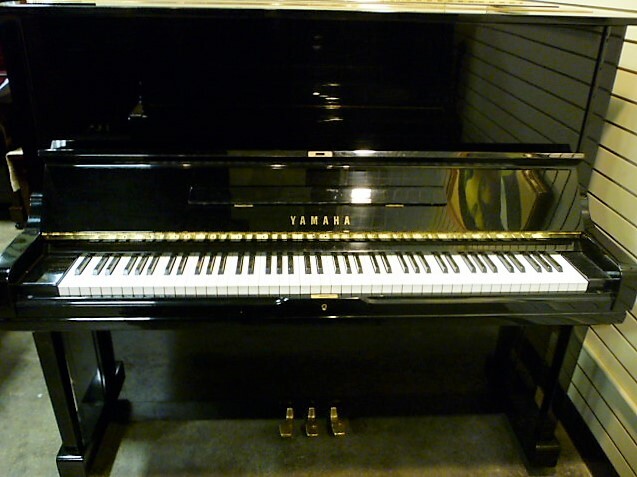 The Yamaha U1 is the most popular of Yamaha’s upright pianos. 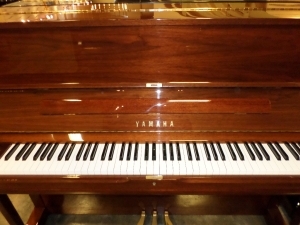 Purchased new in 1989, from local Yamaha dealer Piedmont Piano, this upright has been owned by only one family. The piano has a nice sound and is not too bright considering its a Yamaha. If you’re looking for a Yamaha upright, this is a good one at a reasonable price, and has a full 5-year warranty. 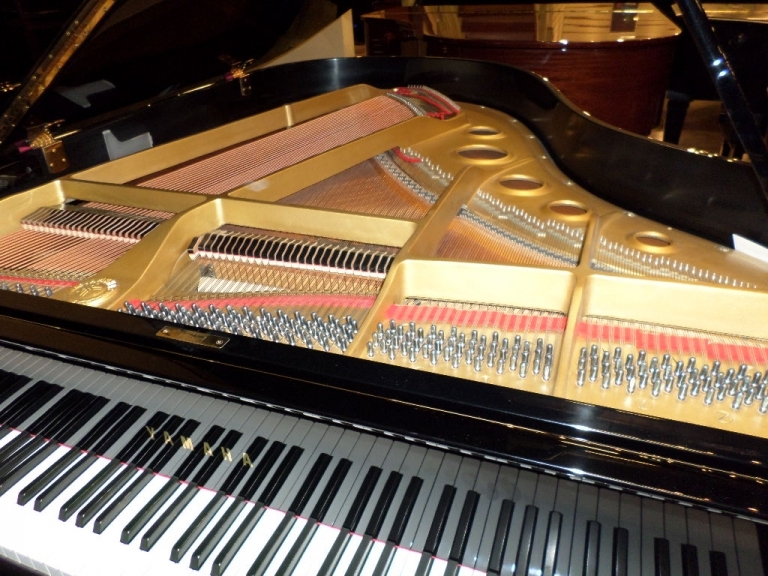 Built in 2009 and purchased new in 2010, the is a supreme Concert Grand. With its dramatic presence and emotional sonority, this classic Viennese instrument is the ultimate representative of the sweet “Chamber Music” and Sacher Torte richness of music and instruments from this area of Europe. Its massive soundboard and extra bass strings in the subcontra octave extend the tonal range and create additional harmonic resonance throughout the whole instrument. The Baldwin SD10 is considered by many to be the finest Concert Grand piano ever built in the USA. Designed during Baldwin’s stewardship as owner of C. Bechstein of Berlin, the SD10 incorporates a full Renner built and designed mechanism, and European precision, with classic American sound. Famously used by such artists as Leonard Bernstein, Jose Iturbe, Michael Feinstein, Ferrante & Teicher, Marian McPartland and other Artists too numerous to mention here, nearly every major American symphony orchestra had an SD10 as one of its two concert instruments. This SD10 has been impeccably restored in our shop to original standards using only genuine and original components from Baldwin and Renner. You simply will not find a better concert grand. The P22 is Yamaha’s “Institutional” upright piano. Constructed with simple cabinetry, but typical Yamaha touch and tone, the P22 is one of the most popular of Yamaha’s upright pianos. 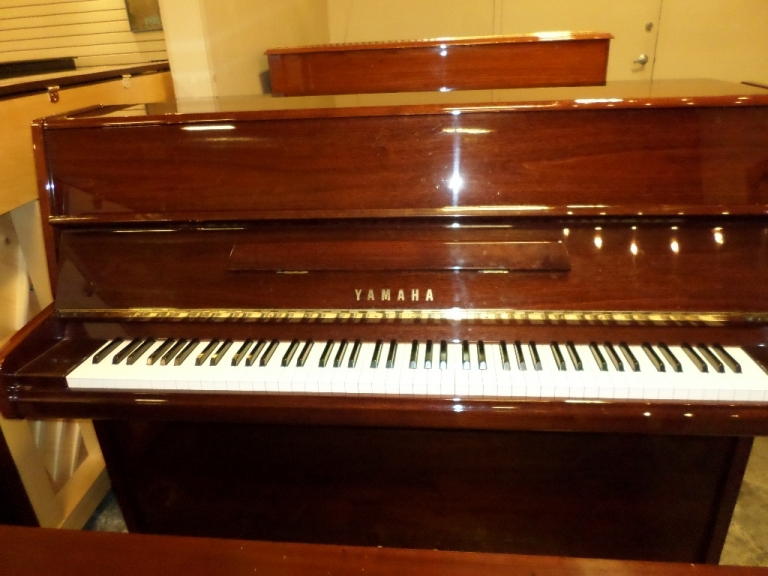 We have 3 (three) used Yamaha P22’s, in both light Oak and dark Pecan. Purchased new in 2012, from local Yamaha dealer Piedmont Piano, these uprights are in excellent condition, and are excellent “starter” pianos. They are 45″ in height, and the action, hammers, strings and soundboards are all in like-new condition. Each includes a five-year warranty, matching bench and in-home tuning. If you’re looking for a Yamaha upright, these are an excellent value. Baldwin, America’s Favorite Piano, rivals competitor Steinway as a stalwart in the piano industry. During the “Golden Era” of pianos in the USA, Baldwin was renowned for building the best upright and grand pianos for home and professional use. Completely restored, with all new action components and original soundboard, this GORGEOUS instrument, 6’3 in length, is crafted in Duncan-Phyfe style mahogany and hand-rubbed to a beautiful luster. It has a sonorous tone, and lightning-quick action and rivals any Steinway A or comparable product from any manufacturer. Virtually the same as the Yamaha C3, the G3 was Yamaha’s signature grand piano in the 1980’s before the C series was introduced. Built in late 1981, this instrument has just been “refreshed” with new strings and tuning pins. It has a typical Yamaha sound of the era, and is warmer than the sound profile of current Yamaha products. You will be amazed at the value this piano represents, with a full warranty and matching artist bench. Turn-of-the-Century (1907) Steinway Parlor Grand, this piano represents Steinway’s Golden Era, when quality was paramount. It’s hard to imagine why Steinway abandoned this model in American production (but retained in German (Hamburg) production) and only recently reverting back to this superb instrument. Completely restored, using ONLY genuine American Steinway parts, this 1907 parlor grand is a perfect specimen. With period detailing and typical Steinway performance and tonal quality, this piano is a jewel and will last SEVERAL lifetimes. 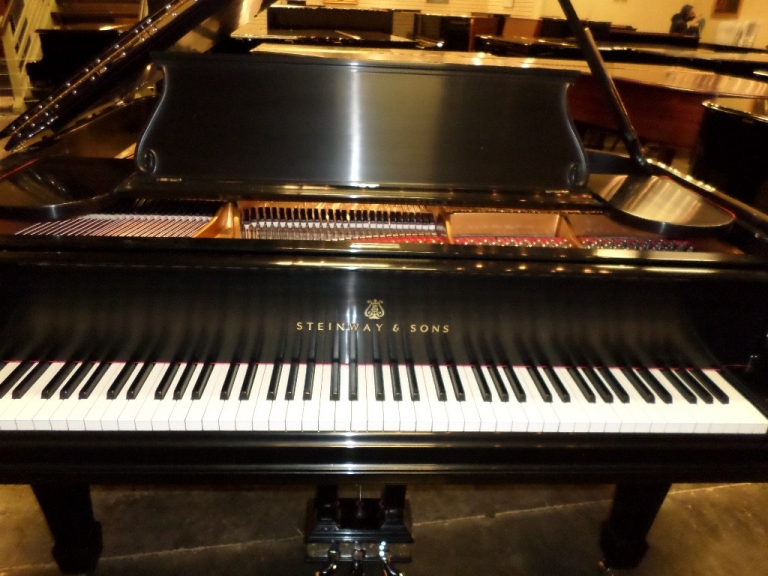 Currently, an American Steinway O is listed at $76,900. This piano is a wonderful value!